High Point, NC (December 4th, 2017) – High Point Clinical Trials Center (HPCTC), continues to grow in response to the evolving needs of the clinical research industry. As a top research center focused on advancing the early clinical development of novel investigational drugs, HPCTC is dedicated to evaluating drug effects in healthy normal subjects and special population proof of concept clinical pharmacology studies. HPCTC is pleased to announce that Clayton Dehn, M.S., has joined the company as Vice President of Clinical Pharmacology Services, reporting to Dr. Lorraine M. Rusch, President. Clayton will lead Clinical Pharmacology Services and act as the Subject Matter Expert in the Metabolic Sciences offering at HPCTC. Clay will provide expertise to clients seeking support for early clinical research studies. Prior to HPCTC, Clay served as Senior Vice President of Early Phase Services & Strategic Development at Clinical Trials of Texas where he facilitated the metamorphosis of a late phase clinical research unit into an early phase unit. He was previously Executive Director of Metabolic Diseases at Celerion, providing clinical leadership around metabolic clinical pharmacology studies and related medical affairs activities. Clay also held the role of Vice President of Metabolic Research at ICON Development Solutions where he led the growth and global expansion of the metabolic research program. He currently serves as an Editorial Board Member of multiple organizations, including the International Journal of Diabetes and Clinical Research, and has contributed to several Clinical Research publications on metabolic diseases. Clay brings over 15 years of knowledge and experience as a clinical research professional in the pharmaceutical, device, and CRO industries. 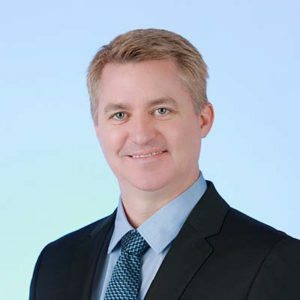 His experience spans areas in global drug development, medical affairs, pharmacovigilance and regulatory affairs, and he has a proven track record in building, managing and globalizing medical teams.